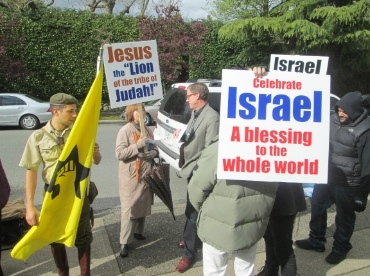 Gary Burge met with Christian Zionist protesters outside of the ‘Seeking the Peace of Jerusalem’ conference. Two conferences bearing on complex and contentious issues related to Israel and Palestine were held in Vancouver last week. I attended both – my first experience with these organizations – and was pleasantly surprised and encouraged to hear dialogue with ‘the other side’ promoted at both conferences. This Year in Jerusalem: Messiah at the Exclamation Point – Evangelism and Reconciliation in the Land ran from April 20 – 22 at Sutton Place Hotel in downtown Vancouver. The North American branch of the Lausanne Consultation on Jewish Evangelism, which sponsored the conference, was holding its annual meeting in Vancouver. The LCJE-NA is part of the Lausanne Movement, which began in 1974 as a way of bringing evangelical Christian leaders together to discuss a way forward in world missions. 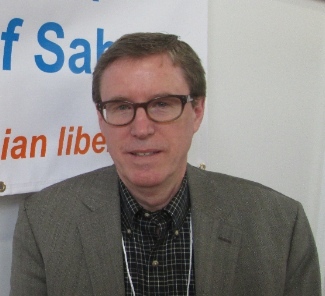 The second event – Seeking the Peace of Jerusalem: Overcoming Christian Zionism in the Quest for Justice – was presented by Canadian Friends of Sabeel, along with the Anglican Church in Canada, the United Church of Canada and the Presbyterian Church in Canada at St. Mary’s Kerrisdale Anglican Church. The Lausanne conference presenters and participants included both Jewish and Gentile followers of Jesus from the United States, Canada, Europe and Israel. Papers presented are available here. David Zadok is a Messianic Jew who says he cannot ignore Palestinian suffering. While the majority, if not all of us as Messianic Jews, believe the land has been given to us as a promise and is indeed part of God’s plan of salvation for the whole world, yet we need to realize that the Palestinians see these promises in a different way. To them the hard question is how can God’s plan of redemption include so many injustices including the confiscation of land by the people of the promise? If God is the God of justice and peace, then why are so many Palestinians suffering? These are legitimate questions that we cannot disregard. Too often in our Jewish and even Messianic circles, we have the tendency to downplay and ignore the suffering of the Palestinians. Much suffering, caused by the Israelis, and at times Christian Zionism in its more extreme form, has created a wall between Arab Christians. As believers in the Messiah, with citizenship in heaven, with a new heart and a new identity, our views of the conflict between the Israeli and Palestinian positions, and for that matter any similar issue, should be shaped by our understanding of the Word of God, and not by our nationalistic inclination. And this is not an easy task. Another talk that caught my attention was The High Cost of Biblical Reconciliation, given by Galen Peterson. He described the difference between justice- and forgiveness-based reconciliation, which is demonstrated, respectively, by followers of Palestinian liberation theology (justice) and Arab evangelicalism (forgiveness). The most poignant needs for this approach are the issues of Israel’s right to exist as a nation and the welfare of the Palestinian people. Israelis currently advocate for the former and Palestinians do the same for the latter. The result is a perpetual stalemate. But what if the Messianic community would speak with one voice for the welfare of the Palestinian people, while concurrently the Palestinian Christian community would acknowledge the Jewish people as having a right to dwell in the land of their forefathers, Israel? He stated that although he is a Christian and a Zionist, he is not a Christian Zionist. He argued (following Bruce Waltke’s Land in the New Testament) that the land promises of the Old Testament become universalized to encompass the whole earth. The discussion amongst panelists and audience during Q&A was lively and respectful. The final presentation, by Olivier Melnick, asked: Is Christian Palestinianism part of Eschatological Anti-Semitism? His assessment was that the rise of Christian Palestinianism is a threat and will pave the way for radical Islam and anti-Semitism to take over, leading to the demise of Israel and the Jewish people. I could feel Melnick’s intensity, possibly because he is from France, where anti-Semitism and Islamic extremism are a significant reality. I even felt pangs of existential fear myself, although rationally I knew it was a poor interpretation and painted with a very broad brush. 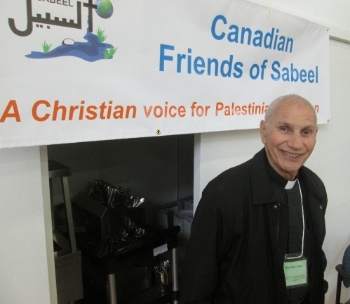 Names of the major proponents of Christian Palestinianism were listed, including Naim Ateek, Gary Burge and Don Wagner (all participants in the Vancouver Sabeel event). Surprisingly, after the lecture, when I publicly let the group know I was thinking of attending the Sabeel conference, Melnick himself and several others encouraged me to go and to dialogue with the presenters there. So, the next evening I found myself at St. Mary’s Kerrisdale! Naim Ateek, a Palestinian Anglican priest who founded the Sabeel Ecumenical Liberation Theology Centre, opened ‘Seeking the Peace of Jerusalem’ with a well-attended public lecture. 1. The return of Jews to the land and the establishment of Israel are signs of God’s mercy to the Jewish people. 2. The establishment of the state of Israel has a special theological meaning related to the fulfillment of prophecy. 3. Christians should not only support the state but also the policies of the state of Israel. He called Christian Zionism an “aberration” which contradicts the heart of the gospel of love and mercy. Urging Christians to challenge “exclusive” texts in the Bible, he pointed out that Jesus never quoted Numbers, Joshua or Judges. He also stressed the need to reach out to Christian Zionists with “love and care,” saying that he has good friends who are Christian Zionists. He also advised against anti-Semitism and Islamophobia. 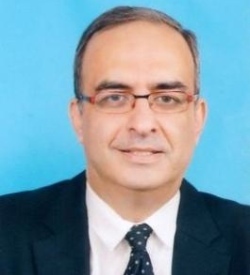 Ateek said one sign of hope is that a survey at the Third Lausanne Congress of World Evangelization in Cape Town in 2010 showed almost half (49 percent) of the attending leaders sympathized with Israel and Palestine equally, while only 34 percent sympathized with Israel alone. He also said support for Christian Zionism is dropping significantly among millennials. When questioned concerning the practice of forgiveness, he responded that it is “not easy to do,” especially when there is no prior repentance but, nevertheless, we are called to practice forgiveness, as in the Lord’s prayer. 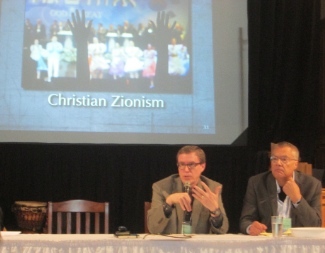 Gary Burge considers Christian Zionism a political theology and warns against adopting it. The following day, Gary Burge spoke on ‘Evangelical Zionists and Their Commitments.’ Burge is a New Testament scholar at the evangelical stronghold Wheaton College and has written Whose Land? Whose Promise? and Jesus and the Land. 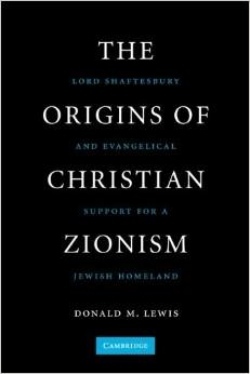 He defined Christian Zionism as “a political theology, a synthesis of political ideology and religion” – an attempt to give divine endorsement to modern Israel. He said Christians have a long history of mixing religion and politics, pointing out that while we can see earlier mistakes (the Crusades, South Africa . . .) clearly, we rarely see our deficiencies in the present. While at the conference, Burge walked outside of St. Mary’s to talk with Christian Zionist protesters who had gathered (along with members of the Jewish Defense League) to protest the event. More than once he urged conference participants to continue open dialogue with Christian Zionists, noting that the movement was losing ground both at Wheaton and in the evangelical world at large as the weakness of their theology becomes better known. Burge soundly denounced supersessionism (which teaches that the church has replaced Israel in God’s plan) and discounted dual covenant theology (which says that Jews can obtain salvation through the Old Covenant). Instead, he argued from Romans 11 for ‘fulfillment theology’ – that the Jewish people have a protected place until the Second Coming of Jesus, at which time they will be grafted into the one olive tree. Gary Burge and Don Wagner have worked together on issues related to Israel and the Middle East for many years. Following Burge’s lecture, Don Wagner spoke on Christian Zionism in mainline Protestant and Catholic churches. Wagner was for many years director of Evangelicals for Middle East Understanding and co-edited, last year, Zionism and the Quest for Justice in the Holy Land. Following the talks by Burge and Wagner, there was opportunity for Q&A, during which time I passed on what I had heard at the LCJE conference in terms of self-criticism and a desire to be more pro-active in reconciliation with the Palestinians. It was a full week and I learned a lot at both conferences! I was encouraged by the expressions of conviction from many presenters at the LCJE-NA conference who are doing the difficult work of challenging their own accepted party lines to promote reconciliation and justice. Reflecting on my time at the Sabeel conference, I was thankful that I heard clear warnings against anti-Semitism, and I appreciated deeply their concern for the human rights issues affecting Palestinians under occupation. I do fear, however, for seeds sown in the anti-Christian Zionist view that could lead to delegitimization of the state of Israel. 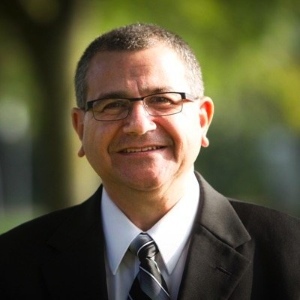 Botrus Mansour pleads for awareness of the church in Israel/Palestine. Jennifer Roosma is a native of Vancouver. Her mother was a Jewish refugee who fled Vienna in 1938. Her grandfather, a member of the Austrian Resistance, died in the hands of the Nazis in the Vienna Detention Centre in 1938. 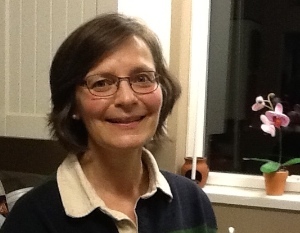 Jennifer is a medical doctor and has been a member of OMF International for 20 years; she served with her husband Gary in East Malaysia for 10 years among the indigenous churches. They are presently serving with OMF in Richmond while their three sons are studying at UBC. The family attends The Tapestry Church in Richmond. Jennifer’s interest and support of reconciliation initiatives in Israel / Palestine was activated after a visit there in 2013, sponsored by the Conway Holy Land Travel Bursary through Regent College, from which she graduated with an MA in Applied Theology in 2014. I deeply appreciate the coverage you give to the whole Palestinian-Israel-Palestinian and Christian Jews-Zionist complex of issues. Also thankful for the fact that you cover the full range of the Christian community – Catholic, Evangelical, Pentecostal/Charismatic and so-called “mainline” communities. I just regret I was not aware of some of these events in my own backyard due to travel. You are making a great contribution to the BC religious climate. Thumbs up, straight and proud! Ms. Roosma should be commended for attending both events and writing an the above article in a matter-of-fact style. I did not attend the first event, but did attend the second event, as a protester. Yes, me, an Anglican, protesting in front of an Anglican Church. The article has good information about what was said, but it should be noted what was not said, and it is very correct for Ms Roosma to wonder how sabeel speakers can remark that Zionists are political but overlooking the point that sabeel is mainly political. What was mentioned is what effect Christians have and are having, and what Christians ‘should’ do, but no mention about the Palestinian Leaders, what role they play, what responsibility they should take, what they should do. It was not mentioned that in Gaza alone, there are over 600 millionaires and that both in Judea / Samaria and Gaza, the top tier of leaders are in-fact billionaires. It was not mentioned that in Israel, within the 1949 armistice lines, there are about 2 million non-Jews and that the vast majority of them prefer Israeli rule and no mention that the almost two million Arabs in Israel have the freest and most democratic conditions of any Arab population. It was not mentioned that in the recent election, the highest percentage of Likud (right-wing) popular vote was 77% and this was in an exclusively Arab village. It was not mentioned that this Arab village tried ‘justice’ in the 80’s and had ever worsening conditions, and later tried the ‘forgiveness’ route and have had and continue to have ever better living conditions. Also Kudos to Ms. Roosma for mentioning Mr. Burge’s call for dialogue and speaking with the ‘protesters.’ He did in-fact speak with me. He admitted that BDS is silly and characterized it as mainly ‘symbolic.’ He actually went inside, got a ‘fee of charge’ day-pass, came outside and presented it to me and invited me to hear his speech, as his guest. But on the other-hand, sabeel speaker Kuttab laid out his manifesto that included his opinion that there is no need to find solutions, only criticize Israel, there is no need to present a balanced view, only anti-Israeli view and to support BDS as much as you feel comfortable, even if this includes a complete denial of the right of Israel to exist, or just against companies that operate in Judea and Samaria, or anything in-between. Sabeel speaker Hind Awwad encouraged a complete boycott of everything and all things Israeli. Sabeel speaker Yafa Jarrar never mentioned about her mother, a PFLP leader who promotes the ripping up of the Oslo Accord, the end to a two-state concept, an end to all cooperation and dialogue with Israel and the use of any and all means to fight for ‘liberation,’ including BSD, violent terrorism, etc. My impression is that all the sabeel speakers know the legal limit in Canada, and they stay just within it. One of my big objections is that despite being within the legal limits, their comments and views are repeated and used by the most vile of all anti-Semitic people. This includes the relatively moderate views of Mr. Burge. Anyone can find that at one person removed, at a single click of the mouse and at the comments of the facebook friends, the most vile of the vile illegal anti-Semitic comments. Even if one could conclude that the views of the sabeel speakers are not hateful and counterproductive, there can be not denying that their ‘work’ is being used to promote hate and violence by others. In my view, this may well become the most significant report of the year, as many Christians are slow in manifesting God’s righteousness within our culture and history but quick in endorsing policies by politicians or states with links to Christianity. The added challenge for Christians is that some may be so entrenched in either camp’s position that they may forget, in Canada, illegal occupation of Indigenous land, the colonial 1876 Indian Act, exploitation of Indigenous resources, criminalization of Indigenous protesters, murdered and missing Indigenous women, etc.. are on-going abomination in God’s eyes. Thanks, Church For Vancouver, for this great report! Just to clarify: I only attended part of the Sabeel conference. I went to hear what Ateek, the founder of Sabeel, said and to hear the theologians’ discussion of CZ the following morning. Just for the record, I do not agree with BDS. I refer you to the recent advertisement by Presbyterians who dissented from their denomination’s pro- BDS stance, entitled “Presbyterians: We can do better than divestment.” (see Christianity Today, p. 31, April 2015). As well as my public comments, another way I tried to dialogue was during lunch conversation with a retired minister who painted Israel’s role with a very broad black brush. Again and again I shared the other narrative and stated: “There are two narratives!” I also shared stories of reconciliation initiatives active in the land. (cf “The Lemon Tree” by Sandy Tolan). One cannot take sides with a story! I hope the conversation will at least make him question some of his one-sided pro-Palestinian view. The majority of the folk at the Lausanne event impressed me with their willingness to do self- reflection and self- critique. That was sorely lacking in the talks and conversations I heard at the Sabeel conference. Regardless of our theology or perspective, hopefully we can all make the effort to really listen to each other and to keep dialogue open, for the sake of healing and a just peace for the peoples in the land. I was terribly disappointed with the sabeel conference. They made every attempt to appear legit, so my friend and I bought tickets to attend. After researching, it became very obvious that it was strictly left-wing anti-Israel based. Not at all a Christian gathering, but rather a constant message of ‘Don’t use the Bible to support Jews or Israel’. We were told exactly which three books of the bible to disregard and how we should interpret the remaining books. And then there was a Jewish / Palestinian ‘dialogue’ featuring a ‘Rabbi’ from Jewish Voices for Peace. It was never stated that JVP (and sabeel too for that matter) are listed at on the Anti-Defamation League’s top ten anti-Israeli organizations. A ‘dialogue’ with two members of the same side? JVP is about as popular and representative of Judaism as the West Baptist Church to Christianity… a tiny and radical minority. If the conference had been open about their true intentions and they didn’t go overboard in trying to look legitimate, I would still have attended. Being setup in the way it was, the sabeel conference gave the impression that it was meant to fool people into taking one particular side of the debate. Whatever else the value of Abyad’s comments, associating refusal to use the Bible for interpreting present-day Israel with left-wing orientation is little more than right-wing ignorance. Classic Reformed theology, ranging from liberal Presbyterian through mid-stream Christian Reformed to some of the Reformed splinter groups in the Fraser Valley, has almost always refused that association. In no way can you associate that stance with left wing. Jon / Jan, The connection to left-wing was in reference to Sabeel narrative mirroring the same narrative as PFLP in which Israel and also Christian Zionists are the entities that should be focused on to ‘liberate’ Palestine. PFLP is a Marxist entity. One of the speakers at the conference teaches Marxism (and according to his students, promotes it), and based on all the out-reach work that I do, virtually all Jewish people that I speak with classify JVP as being an ultra-left sect of Judaism. As well, one of the speakers focused specifically on ridding Canada of Harper and the right-wing. Therefore, by design or by coincidence, the message of Sabeel represents ‘left wing ideology’ anecdotally, in-practice, and by (in some cases), self-definition. What is it that they say about walking like a duck? Please examine your comments stating from “LIBERAL” thought to “MID-stream”. Other than the First Nations Elder that participated in the opening of the Sabeel Conference, I thought that I was the only First nations person at the event. However, on the last day, I sparked up a conversation with another man who is also First Nations. He was as horrified as I was about the things that were said on our behalf. I would encourage anyone who heard the supposed views on the Palestinian issue, by the First Nations people of Canada should seek out a First Nations person and ask them yourself. Well, the first session of the Sabeel Conference was open to the public. Mr. Ateek stated that Israel is the creation of a Secular Jewish Conspiracy. No mention that Israel is actually a creation of the League of Nations and United Nations by world consensus. Ateek blamed everything on the ‘Zionists’ but never mentioned that it was actually the British who wanted to keep any territories captured from the Ottoman Empire themselves yet also promised the land to the Jews, the Arabs and the French. He went on to call me an aberration, and then called me a heretic. To hear that while sitting in my own Church was highly offensive. I got up and left. I really appreciate this article but feel for the most part that the most significant point of the issue is the suffering of the Palestinians which continues unabated with no clear path to remedy the situation. Love and justice is the basic call of Christianity in my reading of the bible and that applies to BOTH sides. Thank you, Jennifer, for this excellent and (generally) balanced report on both events. I’m very glad that Flyn introduced us to each other after your public question. (I’m the one who referred to Ryan Munn.) I, personally, though a fan of Sabeel, have been dragged – kicking and screaming – to a supportive position relative to BDS. When I look at the “miracle” it helped work in South Africa, I concur with Bishop Tutu. Palestinian Christians are certainly forgotten and caught in the cross fire of the Arab/Israeli conflicts. Unfortunately for some, “truth” gets lost in the search for “reconciliation” – on both sides! Two films which I saw at the recent Just Film Festival held at Langara sum up both the crisis and the opportunity: “Where Should the Birds Fly” (the pain) and “Soft Vengeance: Albie Sachs and the New South Africa” (the possibility). I recommend them both – though each is very difficult to watch! Appreciate your article on the two conferences. Must have been a marathon! I think the Jewish Voices for Peace co-director of organizing, Rabbi Alissa Wise, who must daily encounter this possibility, addressed it well herself – ” I cannot tell you if you are coming from an anti-Semitic bias, that is up to you to examine your own prejudice. Anti-Jewish sentiment has always increased or lost traction depending upon its reflection in institutions of power.” An informed, self-critical body politic is essential to ensuring justice and equality for all. Greatest Hebrew-Christian Scholars NOT Pretrib! Jews as well as Christians can cover up facts about the money-making pretrib rapture. I have in mind Dr. Michael Rydelnik, a widely heard voice on the Moody Radio Network who calls himself either a Hebrew-Christian or a Jewish-Christian – take your choice. Rydelnik just returned from another trip to Israel and couldn’t wait to use his melodious radio voice to keep his listeners in their expectant state of rapturous stupor. In order to help shore up the worldwide collapsing of the pillar of sand known as pretrib he started off by daring to say that when the tribulation starts, the “day of the Lord” will also be happening! Rydelnik thus covered up the fact that neither J. N. Darby nor C. I. Scofield (D. L. Moody’s colleague!) dared to stretch forward the posttrib “day of the Lord” (and tie it to their already stretched-forward rapture) in order to sustain their latter-day pretrib escapism – evidence that Christian Zionists like Rydelnik can sharply disagree with earlier Zionists! There are historical persons that Rydelnik and other modern pretrib rapture Zionists love to cover up: eminent Hebrew-Christian scholars of the past, all of whom were NOT pretrib! While names like Biesenthal, Caspari, Delitzsch, Neander, Rabinowitz, and Schereschewsky are practically unknown by most Christians, the names of Baron, Edersheim, and Saphir are much more recognizable. Nowadays the Mideast is constantly in the news. Some feel that Israel can do no wrong while others are convinced that Israel can do nothing right. There are pretrib teachers who even believe that Israel has a special “covenant” with God apart from the Gospel. And Christians are learning at the same time that a person can disagree with Mideast policies without being viewed as anti-Semitic or hateful. BTW, if pretribs love Jews and Israel as much as they say they do, why don’t they want to be on earth during the time of “Jacob’s trouble” to love and comfort Jewish persons? Actually, Palestinian Christians and Muslims, both at large are being oppressed by Israeli, Zionists! Some very good news on this topic! A joint statement released by Messianic Jews and Palestinian Christians after conference in Cyprus.